The 66th Diana Awards show will take place on Saturday, March 23 at the Crystal Ballroom at the Rice. The Diana Foundation hosts its annual comedic roast of Houston’s finest, and features live entertainment, dinner, open bar, and many special surprises. Tickets are on sale now for one of Houston’s funniest and most comedic black-tie events. Diana 66 will feature live entertainment including the dynamic boy band PDA from Austin, TX. 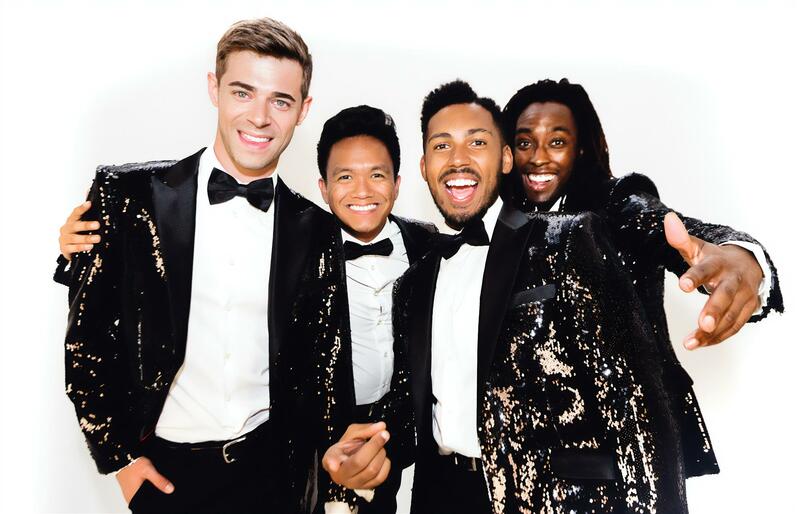 PDA Band is a high energy 8-piece party band, not only praised for their talent and incredibly extensive songbook, but also for their advanced choreography and showmanship. PDA covers anything from the classic boy band era all the way to the essentials of today. 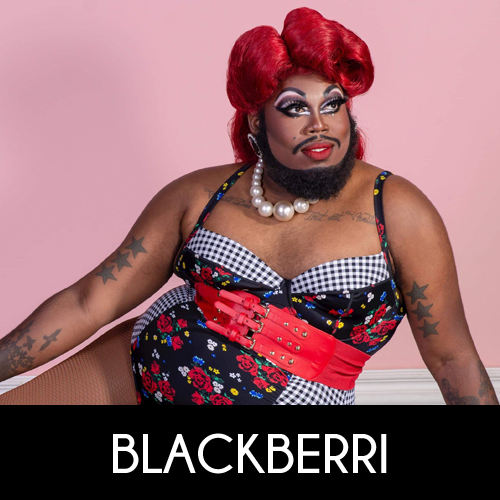 Sister Helen Holy from Dallas and Houston’s very own Blackberri will co-host the big show. 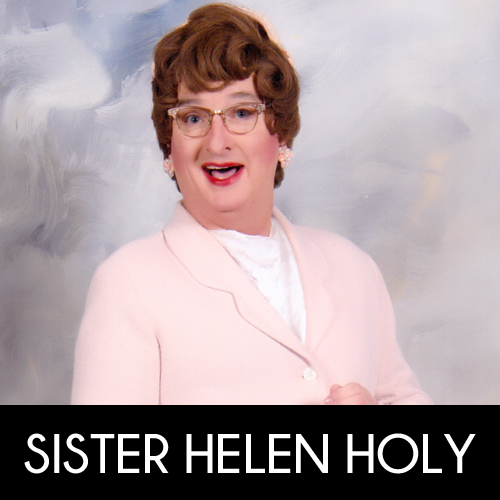 Sister Helen Holy returns to stage after hosting the 64th annual Diana Awards. The 66th Diana Awards will mark Blackberri’s first appearance. Hosts will add their sassy and comedic chops to a full lineup of fun and antics that make this black-tie gala event one of Houston’s best. The Diana Foundation is a 501c3 nonprofit recognized as America’s oldest active gay organization. Proceeds from this year’s gala will help support Out for Education, the University of Houston Library’s Gay Archive, and The Botts Collection. The Dianas have helped provide seed money to some of Houston’s biggest nonprofit organizations, and their continued financial support will continue to help thousands in the local community. Tickets are on sale now at www.TheDianaFoundation.org. Full tables may be purchased by ordering 8 tickets (8 seats per table). Sponsorship opportunities are available and silent auction items may be donated by contacting thedianafoundation@gmail.com. In addition, orders are now being accepted for advertisements for the show’s official program—visit https://tinyurl.com/Diana66Ad (deadline to purchase ads is February 15, 2019). 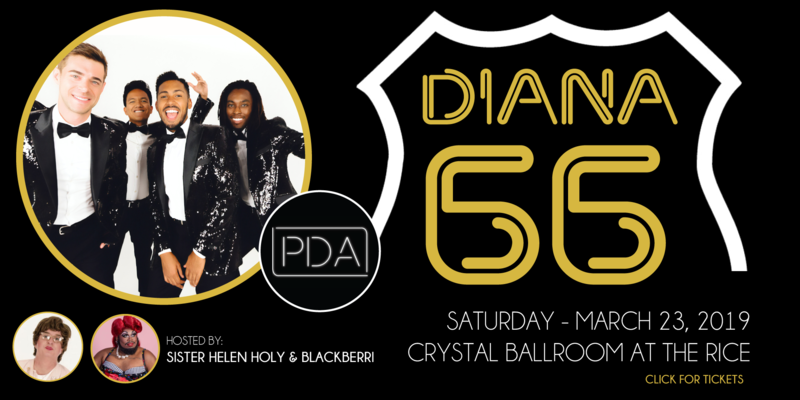 The 66th Diana Awards will take place on Saturday, March 23 at the Crystal Ballroom at the Rice from 6:30 p.m. to 11:30 p.m. All tickets include a pre-reception, dinner, open bar, silent auction, and live entertainment. Tickets may be purchased online at https://www.eventbrite.com/e/66th-diana-awards-tickets-52180224456. Promotional events are planned to welcome the Houston community to learn more about The Diana Foundation and the upcoming 66th Diana Awards. Promotional events are free to attend and friends are always welcome.